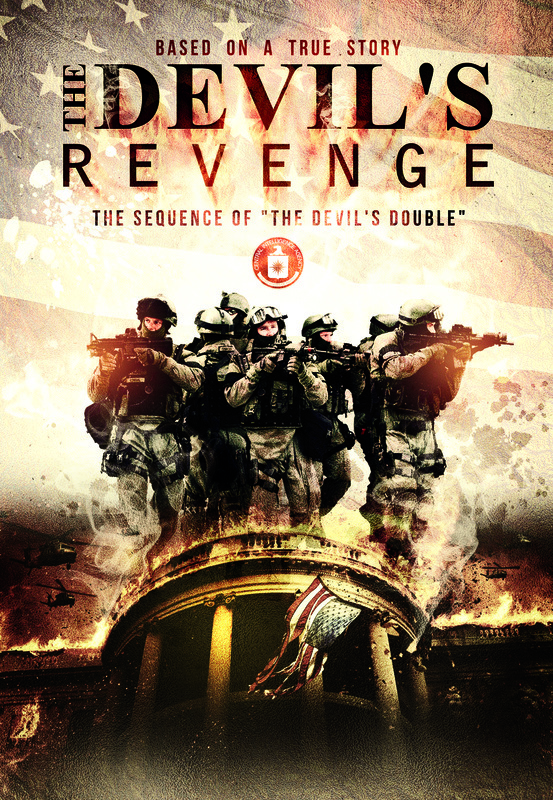 The Devil's Revenge A Sequel of The Devil's Double Movie and Book.. This movie what go to be Finance by Brave People around the world by the People who believe in justice, freedom and Humanity. The Devil's Revenge .. Making Sequel of The Devil's Double Movie. 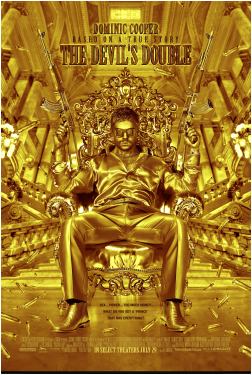 'The Devil's Double' telling of Latif's early years in Iraq where he was forced to become Uday Hussein's double and bullet-catcher, was made into a movie released in 2011 and enjoyed a worldwide release and much critical acclaim. His second book, The Black Hole, tells what happened to him after he fled Iraq. It's a Jason Bourne type 'cat-and-mouse' chase through Europe. Latif has decided not to continue working with the producers of the original movie and wants to help produce the next film himself. To get the project started, we need to raise €1,000,000. This will be used as initial funding to get film grants and other film investors interested plus a director and main cast. The total budget is estimated at €10 million which sounds a lot but is actually low for an action movie. Thanks for your Support our Movie. A special t-shirt that recognizes you as one of The Devil's Revenge Team's supporters during the crowd funding campaign. Inclusion of your name in the end credits of the film and a big thank you on related social media (unless you wish to remain anonymous). You'll also receive a signed poster. signed copy of book by Author Latif Yahia and DVD Inclusion of your name in the end credits of the film and a big thank you on related social media (unless you wish to remain anonymous). You'll also receive a signed poster. Reward Value: €500 Number Available: 350 Parsons Only . Special mention in the credits of the film and a big thank you on related social media (unless you wish to remain anonymous). You'll also receive a signed poster and production , and signed copy of The Black Hole book buy Latif Yahia , Plus an invite to a cast & crew screening of the film. Reward Value: €1,500 The Devil's Revenge Premiere Tickets. Available: 150 Parsons Only. Come see the Movie with the Cast and Crew . Includes all the benefits of Premiere level and Ultra-Sponsor level. Top Reward Value: €2,500 Number Available: 170 Parsons Only . You will be invited to visit the set during filming. You will be . Reward Value: €5,000 Associate Producer credit. Get a credit as an Associate Producer of The Devil's Revenge Team. We will assist you in creating an IMDB entry for this process. Includes all the benefits of Premiere level and Ultra-Sponsor level. Reward Value: €6,500 Co-Producer credit. Co-Producer credit in film and profile creation on IMDB. Make a visit to the The Devil's Revenge Team set. Includes all benefits of Premiere and Ultra Sponsor level. Set visit date subject to scheduling. Shooting scheduled to take place in September 2015 in Austria - London - Norway - Germany - Holland - Ireland. . Walk on role Appear as a featured extra in The Devil's Revenge Team. Shooting will take place in September 2015 in Austria - London - Norway - Germany - Holland - Ireland. Includes all benefits of Premiere and Ultra Sponsor level. Dates subject to scheduling. +Top Reward Value: €10,000 Number Available: 5 Parsons Only . Everything from the unlimited rewards above plus a license to organize a public screening once the movie is out. One of the producers will attend the screening and do a Q&A with the audience. ***** Stars Reward Value: €30,000 Producer . credit in film as Producer and profile creation on IMDB. Make up to three visits to the The Devil's Revenge Team set. Choose from an RvB walk on role, RT Podcast visit or AH for a day. Includes all benefits of Premiere and Ultra Sponsor level. Set visit Dates subject to scheduling. Shooting take place in September 2015 in Austria - London - Norway - Germany - Holland - Ireland. Travel and Accommodations included. To get the project started, we need to raise €1,000,000. This will be used as initial funding to get film grants and other film investors interested plus a director and main cast. The total budget is estimated at €10 million which sounds a lot but is actually low for an action movie. If you invest now, your money will contribute towards the first €1,000,000. If, after two years from the launch of this project, the €1,000,000 has not been reached, your money will be returned. If the initial €1,000,000 is attained, then investors will have a 10% stake in any profit that the movie makes. You will also receive 10% interest on your investment. Plus, depending on the amount you invest. Most of you will have seen the movie of my time in Iraq when I was forced to become the fidai (bullet-catcher) of Uday Saddam Hussein. That movie was based on my first book, 'The Devil's Double'. Whilst that movie was very popular on it's release all over the world, my memories of it are tainted by arguments with the producers over the way my story was told. After a legal dispute, I now own all the film rights. Not only for that first book but also for my second entitled 'The Black Hole' which continues my life-story after I left Iraq. It has been described as a true-life Jason Bourne 'cat and mouse' adventure through Europe as I struggled to find a peaceful life and avoid pressures and threats from Uday, the CIA and European secret services. A screenplay has been written which is very true to the book provisionally called 'The Devil's Revenge'. But I do not want the story altered by producers or influenced by government agencies. I have therefore decided to try and produce the film by myself. Millions of people around the world enjoyed 'The Devil's Double' and, if you would like to see a sequel then this is your chance to help make it happen. Many projects are now 'crowd-funded' and I ask if you could donate 10 euros (or more if you can afford it) to help get this project into production. If you can help, you will be kept informed of progress and your name will be included in the credits. This is an exciting opportunity for me and, I hope, for you. It will result in a movie that will make the world sit up and take note of how international politics and governments work and how badly they treat individuals. The Devil's Revenge A Sequel of The Devil's Double Movie and Book. Making Sequel of The Devil's Double Movie.